Naming the Android 6.0 Marshmallow wasn’t honestly that far of a thing.After all, Android has been known to call new versions after sweet treats from the past.However, they started with Android 4 and five but no knows why? All Programmers usually mark a significant version by their first number like 1.0 or 2.0 The second number version often is a minor version, like 2.2 and so on as well.So looking toward 5.0 to 6.0 could signify that this is a significant update to Android whose name is suggested android marshmallow.But these numbers are not compulsory with the passage of time it became everyone’s rule to follow these numbers as a standard for people to update by themselves.The important thing is if you are an Android user, you probably already realized that Google’s version system was never consistent they keep changing with new and new versions. For most of the people, these are just confusions. As you can see there really isn’t any rhyme or reason. Some would argue that whole numbers would mean an aesthetic change. But, that didn’t happen with Éclair. And, it probably won’t with Marshmallow either. It’s even mentioned that the names are for users and would mark updates that involved function. But, again, that’s not the case.Coming to point there is no. It’s speculated that this could be a major Android 6.0 update. There are some exciting new features, such as Android Pay and Google Now on Tap, which could make Version android 6.0 worthy of getting a whole number. Then again, previous versions like Jelly Bean also had some promising features that could have earned them a whole number. Another theory is that maybe Marshmallow is attempting to distance itself from Lollipop. There were plenty of Android users who less than thrilled with Lollipop and its numerous bugs. And, there’s been other instances of updates skipping ahead – Microsoft went from 8 to 10. The idea with this move is that if you didn’t like Lollipop, then give Marshmallow a chance. The HTC One M9 and One M8, Google Nexus 6, and Nexus 5 have already been confirmed by Google to receive a Marshmallow update. Samsung has unveiled its Galaxy Note 5 and Galaxy S6 Edge+, which should also receive a Marshmallow update. 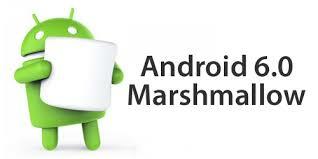 What are the Marshmallow Features? As mentioned earlier, Google wants Android 6.0 Marshmallow to go back to basics. As opposed to Lollipop’s more design-centric update, Marshmallow will primarily focus on improving existing features and fixing all of those thousands of bugs that became synonymous with Lollipop. As of this writing, here are eleven of those Marshmallow features that should have Android 6.0 on phone and tablet users salivating. We’ve heard this guarantee previously, yet Google is by and by promising to enhance battery life. What makes Marshmallow unique, in any case, is that it is standby power that is getting refreshed. The Doze highlight is another innovation that can identify when your gadget is either still or not being utilised. Nap at that point puts your device into a more profound rest mode and removes foundation administrations. Try not to stress on the off chance that somebody is calling or messaging you. Those warnings will even now experience. As indicated by Google’s inside tests, Doze has possessed the capacity to twofold the battery life on a Nexus 9 tablet. Is it accurate to say that you were ever inquisitive which applications are utilising the most memory on your telephone? Marshmallow would now be able to uncover that data with the Track Memory highlight. Just tap on the Memory tab, and you’ll have the capacity to how much memory, for example, store or establishment, your applications are taking up on your gadget. You can likewise utilise this element to perceive how often applications are running and expel or uninstall the apps that are depleting your memory the most. Have you at any point exchanged a gadget and lost the majority of your application information? It’s disappointing, isn’t that so? Marshmallow will ensure that won’t occur again since it will consequently reinforcement the majority of your client information onto Google Drive. It’s trusted you can stockpile 25MP for each application. You just downloaded another application on Google Play, and after that, you’re requested to give the application engineer authorisation to get a clothing rundown of things from your gadget. Imagine a scenario in which you would prefer not. Google has at last settled this issue by giving you a chance to choose which capacities you need the application to approach. For instance, if you don’t need WhatsApp to know your area, you can handicap that capacity in the application authorisation list. If you enabled WhatsApp to utilise the mouthpiece, then you can make telephone calls. This is an extraordinary element in case you’re a little anxious about giving an application free rein of your contacts, pictures, or area. This may not end each datum driven security concern; it’s a reviving begin. USB Type-C is proposed to in the long run supplant a wide range of USB on the two hosts and customer gadgets since it’s reversible. Macintosh has efficiently declared that its up and coming age of MacBook will have bolster for this new USB standard. The Chromebook Pixel right now incorporates this USB Type-C bolster. Where does Marshmallow fit into this? The most recent form of Android marshmallow will offer full help for Type-C yet it is the truth.This is a stage of having the capacity to charge your Android smartphones and tablets, all the more rapidly and advantageously in the precise not so distant future. I’ve put these two little, yet smart highlights, together. With Direct Share, your gadget can realise who you share content with the most so you can impart substance to only the push of one catch. Concerning the coasting toolbar, this element will make it simpler to reorder content from website pages or records. The is apparently the most visible and most cooling new component. More or less, Google Now on Tap takes Google Now and spreads it out over the whole working framework. This implies you would now be able to utilise Google’s virtual colleague regardless of where you are or what you’re doing on your gadget. You should just hold down the home catch and Now will show up from the base of the screen. For instance, if you and your mate are talking about supper gets ready for the night over instant messages, you could utilise Now to get eatery recommendations and after that take in more of that eatery. In case you’re viewing a film trailer on YouTube, Now could find nearby screening circumstances or draw up IMDb for more data. Since this is proficient by quick hunt calculations, Marshmallow can examine the substance that you’re right now taking a gander at and afterwards offer data around that. The outcome? More conversational connections as Now will continually learn and convey query items given the setting. It’s kind of frightening, however fabulous in the meantime. Google is additionally endeavouring to improve the web understanding for telephone clients with the new Chrome Custom Tabs. At whatever point an application needs you to open web see, you can make custom tabs that will stack over the form. This keeps you from beginning another program and should make web content smoother. The costs will likewise bolster programmed sign-ins, spared passwords, and autofill. This was outlined in light of application designers. To contend with Apple Pay and Samsung Pay, Google has patched up its own particular versatile instalment benefit, which was presented all-the in 2010 on the Android Gingerbread. Android Pay is required to be perfect with telephones that keep running on Android KitKat or more and will give you a chance to shop in stores by just tapping on an NFC terminal to pay for your merchandise. You should just make a virtual record number, which is sheltered and secure since that number isn’t imparted to the retailer. Android Pay on android marshmallow is expected to work with roughly 700,000 stores in the US and will likewise work with existing credit and platinum cards. Rather than hauling out our credit or check cards, we’re en route to paying for stuff through our telephones to speed the procedure up. This component will tie in with Android Pay since you would now be able to utilise your unique mark to sign into applications like Google Play Store and make online buys with merely your digit. Naturally, you can employ unique mark access to open your telephone, which appears a mess superior to entering your secret word each time you use your phone. Marshmallow to run two applications one next to the other. While this isn’t the first occasion when that we’ve seen this element, it was beforehand found on Samsung’s Note gadgets; it’s another element new for Google’s variant of Android. In case you’re a Nexus 6 client you ought to be an excellent enormous fanatic of this component. There are different highlights, as streamlined volume controls and enhanced connecting between applications, yet the highlights said above should enable us to disregard the bugs clients managed from android Lollipop.